We all are extremely excited about the upcoming Mortal Kombat game, so i just thought of doing this game, while we wait for the game! <br/> <br/>You are to rate every Fatality between 1 and 10, with decimals allowed. Rate every Fatality fairly and not depending on what characters you like or not. I will announce what the deadline to get your votes in is, depending on if this rate is successful, or fails. Also, please do not post your lists in this thread. It ruins the element of surprise so please send them to me via PM. I will eventually create/update this thread with the results. 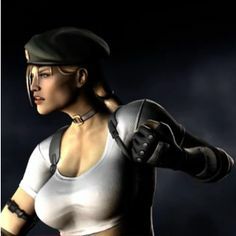 <br/> <br/>Baraka - Take A Spin <br/>Baraka - Up The Middle <br/>Cyber Sub-Zero - Brain Freeze <br/>Cyber Zub-Zero - Kold Fussion <br/>Cyrax - Buzz Kill <br/>Cyrax - Nothing But Net <br/>Ermac - Mind Over Splatter <br/>Ermac - Pest Control <br/>Jade - Half Mast <br/>Jade - Head-A-Rang <br/>Jax - Smash And Grab <br/>Jax - Three Points <br/>Johnny Cage - And The Winner Is <br/>Johnny Cage - Heads Up <br/>Kabal - Hook Up <br/>Kabal - It Takes Guts <br/>Kano - Eat Your Heart Out <br/>Kano - Heartbreak <br/>Kenshi - Scatterbrained <br/>Kenshi - Split Ends <br/>Kitana - Fan Opener <br/>Kitana - Splitting Headache <br/>Kung Lao - Hat Trick <br/>Kung Lao - Razor's Edge <br/>Liu Kang - Fist Of Flame <br/>Liu Kang - The Beast Within <br/>Mileena - Be Mine <br/>Mileena - Rip Off <br/>Nightwolf - Ascension <br/>Nightwolf - Little Off The Top <br/>Noob Saibot - As One <br/>Noob Saibot - Make A Wish <br/>Quan Chi - Beat Down <br/>Quan Chi - On Your Knees <br/>Raiden - Just A Scratch <br/>Raiden - Transplant <br/>Rain - Bubble Burst <br/>Rain - Does It Sting <br/>Reptile - Acid Yak <br/>Reptile - Tasty Meal <br/>Reptile - Weight Loss <br/>Scorpion - Nether Gates <br/>Scorpion - Split Descision <br/>Scorpion - Toasty <br/>Sektor - Robo-Sek <br/>Sektor - The Scarecrow <br/>Shang Tsung - Bang Bang <br/>Shang Tsung - Identity Theft <br/>Sheeva - Lend A Hand <br/>Sheeva - Stripped Down <br/>Sindel - Migraine <br/>Sindel - Mouthful <br/>Skarlet - Blood Bath <br/>Skarlet - Make It Rain <br/>Smoke - Smoked Out <br/>Smoke - Tremor <br/>Sonya Blade - Kut Throat <br/>Sonya Blade - Scissor Split <br/>Stryker - Have A Blast <br/>Stryker - Time Served <br/>Sub-Zero - Have An Ice Day <br/>Sub-Zero - Spinal Smash <br/>Sub-Zero - Spine Rip <br/> <br/>Hopefully this takes off! Happy rating! We all are extremely excited about the upcoming Mortal Kombat game, so i just thought of doing this game, while we wait for the game! You are to rate every Fatality between 1 and 10, with decimals allowed. Rate every Fatality fairly and not depending on what characters you like or not. I will announce what the deadline to get your votes in is, depending on if this rate is successful, or fails. Also, please do not post your lists in this thread. It ruins the element of surprise so please send them to me via PM. I will eventually create/update this thread with the results. Hopefully this takes off! Happy rating!